The European Union boasts of its well-being and the rule of law, but the latest European Commission report on corruption shows something is rotten in the EU. Billions of euros are eaten up by corruption each year, and no parts of Europe are spared. Is there no way out of this? How does corruption find its way into so many nations? Can it be fought? 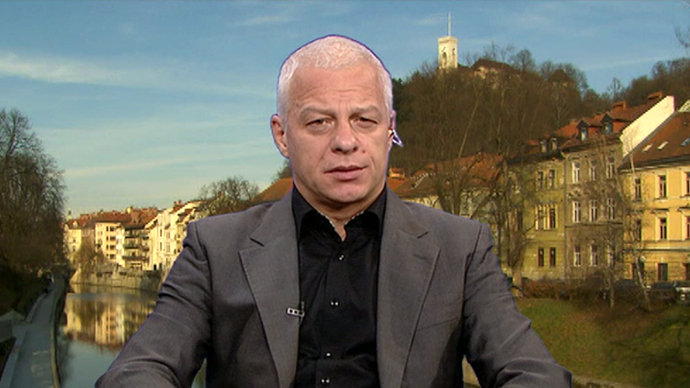 To tease this out, we talk with Drago Kos, a professional corruption fighter and OECD head. Sophie Shevardnadze: Mr. Kos, it’s great to have you with us today, now the Commissioner behind the report into the corruption in the EU has called the scale of it “breathtaking”. Do the figures take your breath away, because they are certainly striking? Drago Kos: Well, first of all, best regards to your viewers, all around the world. I must say I was not so much surprised about the figures, which were presented in the report. Although they are an estimation, but still, I would say that this estimation is quite accurate, and if you take into the consideration the amount of money which is being spent every year in EU, those figures are extremely big but not such a surprise. SS: But, I mean, we are talking about 120 billion euros, which is approximately the budget of the EU, it is a huge number though..
KS: Yeah, well, but you have to take into consideration that, let’s say, just three years ago, the EU was spending several hundred billions of euros on the public procurement, and there are estimations that in each public procurement deal 20, 30, sometimes even 50% of the money was spent on corruption, so this figure is, I think, quite accurate. Of course this figure has to cause an alarm, with all the decision-makers in all countries of the EU, which until now was obviously convinced that a corruption is not such a big problem. Obviously, the time has come to do something against it. KS: This is the first report, which gives the general overview of the events in the corruption, or anti-corruption area in the EU. Until today we were just dealing with national reports – reports, concerning concrete countries. And since this is the first one on EU level, of course, the figures, which are shown, they are shocking for somebody, especially for those who did not even think that corruption might be such a big problem. And, if you don’t think that corruption is a big problem, you have no political reason to deal with it. So, today, it is obvious, it is clear – corruption is a huge problem, through corruption we are wasting billions and billions of our taxpayer’s money, and this also means that our politicians will have to do something against it. SS: So, Mr. Kos, when we’re talking about corruption, can you explain to us what forms it takes? Are we talking about bribery only, money laundering, organized crime? KS: Well, basically we make a difference between what we call “petty corruption”, “low-level corruption” and “high level corruption”. Petty corruption is the bribes our, let’s say, citizens all over the world are paying to the police officers, customs officers, to public officials at their local communities, and the damage caused with petty corruption is not so big, as the other one, the damage caused by the high-level corruption, which is conducted by the politicians in power. They don’t do it very often, but when they do it, we are speaking about hundreds, sometimes, let’s say, millions of dollars or euros of damage caused, and what is even more important, the consequences of the corruption are also the corrupt decisions, which influence the life of each of us. SS: Now, when you’re talking about the government officials actually being involved in large-scale corruption schemes, can you give us a precise example? KS: In my country, the ex-president of the government, the prime minister has been sentenced, although the sentence is not final yet, for some sort of bribery. So, nobody’s immune from corruption and the politicians at the top can cause the most of the damage and this is the most dangerous form of corruption. SS: But if you look at to generalize, who is the biggest offender – the businessmen, or the government, the officials? KS: It depends on which way it happens. Not so long ago, people were saying “the one who is giving bribes is less guilty than one who’s accepting bribes”. This is not true, you know, the one who is giving is equally guilty as the one who’s accepting bribes. What is important is what position persons involved in corruption have. So, if you’re dealing with, let’s say, with the director of the private company, who’s bribing a high-level official, at the level of minister, or even the prime-minister – then of course, the one who is having much more powers are the ministers and the prime ministers, and of course they have to be burdened more with what is happening and they are causing much more damage than the ordinary directors of the ordinary companies. SS: But among countries themselves, who are the most offenders, and why those countries especially – if you know? KS: Well, in this European report, countries like Spain, Italy and Greece have been exposed as the most corrupt countries in the EU. There are different reasons for that. First of all, those are all countries which are facing serious economic crisis. Then – usually I don’t want to speak about it, but sometimes I have to admit that it is also part of the culture of those countries. And the third one is that the anti-corruption systems in those countries are not effective, they do not work, and therefore there’s no threat for the guys who are already involved in corruption or are planning to get involved in corruption because they know they can do whatever they want to, they will not be punished by the state. And these are the consequences we see. SS: You bring up an interesting point: you’re saying it the part of the culture – but if it’s part of the culture, how do you fight it? KS: Well, cultures can also be changed. I can remember one of my presentations some years ago in your country, in Russian Federation, when one of the professors at one of the faculties, was trying to explain to the students that the corruption is in the culture of Russians and nothing can be done to fight. I don’t agree with that one, you know. This was, maybe, in the past, but cultures are also developing, and if nowadays it is obvious, it is clear, or it should be clear, that corruption is something which is undermining the life of each of us, and then it cannot be part of anybody’s culture. Of course, it takes years, sometimes it takes decades, sometimes it takes centuries, but I’m quite sure that at the end, those cultures will be changed. Let’s take for example the Scandinavian countries. They have maybe half of the legislation that we have, they have 1/3 of the institutions we have, and they almost have no corruption. Why? Because culturally it is a disaster for somebody in Finland, Sweden and Norway to be even suspected of being involved in corruption; of course, I’m not saying that they don’t have corrupt individuals there, but the extend of corruption there is much lower than in other countries, especially countries in the Southern Europe. SS: Well, exactly, would you say the EU enlargement is creating more corruption problems? When the new member states, like from Eastern Europe, join, for example, with their more relaxed attitude towards corruption? Is that a big problem, as a whole? KS: I think the problem is somewhere else. You see, when countries are acceding to the EU, European Union is imposing a lot of pressure on them to fight corruption. Effective fight against corruption is even the political criteria for countries to join the EU. It means, it is not negotiable, they have to do it. But what happens afterwards is the problem. You see, all the countries I know which have joined the EU were at the peak of their anti-corruption efforts on the day of their accession. The next day EU was not pushing, pressing – then they started to become very lenient on the fight against corruption and we saw cases like, let’s say, in my own country, we saw cases like Bulgaria, Romania, where just year or two after the accession the situation is much worse than before the accession process. So, it is obvious that there is no genuine political will in these countries to fight corruption, but they were doing it just because they had to do it, because they were under pressure of the EU. SS: But also for some immigrants, bribing official can be the only way to stay alive or stay in Europe. Is this making the EU's corruption problem even worse? KS: Of course there are situations where nobody can have any questions about the fact that somebody has given a bribe. If you’re speaking about staying alive, if you’re speaking about keeping the job, if you’re speaking about getting the job – those people are being blackmailed by the ones who’re accepting bribes. Of course, formally this is still corruption, this is still giving bribes, but in the legal system there are so many defense which would enable those individuals not to get punished or at least not to get punished as seriously as if that would not be the case. SS: You were saying in the first part of our program, that for example Bulgaria and Romania once they were entering the EU, they were at the peak of fighting corruption, and as soon as they became members of the EU, they became very lenient. This is something that the EU’s high officials haven’t envisaged from what I understand – so do you guys have now mechanisms to fight that, once they are in, but they are being lenient to fight corruption? What do you do with that? KS: You see, after the case of Romania and Bulgaria, where difference was so huge between the days before accession and the day after accession, the European Commission has developed a system which is called “Cooperation and Verification mechanism” which was basically, again, accessing what those two countries are doing in the fight against corruption, and since they were not fulfilling the criteria, set by this “mechanism”, they were losing hundreds of millions of Euros, because the European Commission has frozen the funds which were intended for those two countries, because they were not fighting corruption. If you take the case of Croatia, who joined at, let’s say, the later stage, there the European Commission was much more careful, they were simply asking Croatia to investigate some concrete cases of corruption as a prove, as an evidence, that they will really fight corruption, and Croatia was forced to do it. I must say, I expect this to happen with all future candidates. On the day of the accession it will not be over, the day of the accession will not mean the end of the fight against corruption, but it will be just one of the phases which will have to be confirmed afterwards. SS: When you’re comparing countries like Greece and Spain, which are at its peak of corruption schemes at this point, and then you have Bulgaria and Romania, that were at its peak five years ago – how different are the corruption schemes in those countries, if you compare, or all they all the same? KS: Well, basic corruption schemes are the same, but there’s a huge difference: you see, the new European member states are, despite the fact that they are still having a lot of problems in the fight against corruption; they are closing the gap between them and old EU member states. There were, and I’m afraid, there still are the so-called “double standards”. For the old EU member states, there are not so many mechanisms which European Commission is applying as they are applying them towards the new European member states. There are different standards. If you are an old European member state you can do a lot in a wrong way, and you will not even get warned by the European Commission. If you are a the new one, you will soon face warnings and, as I said, in the case of Romania and Bulgaria, also very practical consequences in the form of frozen European funds and so on and so on. SS: You’ve been tackling corruption in Europe for decades, you come from the part of the world, from Eastern Europe, where, you understand, and the corruption is in some ways part of the political culture. What are the most alarming examples of corruption on the continent that you personally have come across? KS: The most alarming form corruption is when politicians winning the elections, they think that the state in which they have won has become their, let’s say, reward for their election. In other words, they take winning of elections as winning at separation of the treasures which are there. I saw so many countries already that the highest level of politicians were simply destroying the countries for their personal needs, because they thought they have right to do it, they thought they have right to put all their political allies on the most important positions, not only to give them jobs but also to be sure that those political allies will serve as intermediaries in grabbing the wealth of the countries and stealing the richness of all the countries. SS: For instance, in the U.S., corruption is practically legalized, in the sense that it is called simply lobbying – it’s transparent, it’s regulated, and it’s out of the shadows. Can legalization be an answer? KS: I would not say that in the States corruption is legalized, they just have very clear and precise rules for lobbying, they have also many other things which in the Eastern parts of Europe will still be considered corruption. KS: Yeah, that’s exactly the point. Lobbying by itself – it’s not corruption. No, the difference between the lobbying and corruption is very simple: if you lobby, you have to convince somebody with the power of the argument, if you’re corrupting somebody, you convince him or her with the power of the money. If you make it transparent, as it is in the States, as it is in some other countries, let’s say in Europe, also Poland has very good lobbying legislation, then of course it is much more difficult to use lobbying as form of corruption. In countries which don’t want to do it, basically lobbying is still happening, but is happening in shadows, and it involves a lot of corruption too. SS: Can I ask you something, have you or your colleagues ever been approached with bribes? Let’s say, has anyone ever come up to you and said “listen, we’re going to give you a bribe, Mr. Kos, and you lay off and stop checking up on us..”? KS: Well, it happened to me when I was in the police, many years ago, and I must say, I would not like this to happen again, because…. SS: What do you mean, “happened in the police”, did the police try to bribe you? KS: No, no, I was once a police officer. KS: While I was investigating the case one of the suspects approached me and offered me bribe to abandon the investigation. I must say that was one of the worst experiences in my life. You know, “How can it happen to me? What did I do that he thinks that he can bribe me?”…And, in such cases, you know, its only very strict reaction, very declining reaction which helps. Otherwise, you get exposed again and again. SS: You’ve also fought corruption in the world’s richest and poorest countries. What different challenges do they actually pose? KS: First, there is a difference in the forms of corruption. If you take forms of corruption in the poorest countries in the world, it is blatant; you can see it very easily. The only problem there is that people are almost accepting it as some sort of survival. You can see the same forms of corruption in the very sophisticated form, although. In the richest countries of the world, they expressed the wish to fight it, they have the mechanisms in place – and that’s why the extent of corruption there is not such big one, but still, it happens. When you speak to the suspects in the rich countries, basically, they give you the same excuses for why they have done it. “I needed it for this, I needed it for that, I didn’t know it’s wrong” – so, basically, human nature is the same all over the place, it just different in how many cases we deal with, and how open it is, when it happens. SS: But I’m just trying to figure out the scale, if you compare the scale of corruption in poorer countries and richest countries; when I think about it, I think probably the corruption scale is larger in richer countries, but its better masked than in poorer countries. What do you think? KS: Well, not really. You see, because in poor countries, we are dealing with many-many cases of so-called petty corruption, because low-level public officials are forced to take bribes to survive. They have to feed their families, and for that, if their salary is not enough, they are forced to take bribes. The extent of corruption there is really huge, and because they do it, the guys above them, they are doing it also, and the guys up there doing it also, of course the guys at the top, they steal millions, they don’t take cents or pennies. In richer countries the extent of damage caused by one individual case of corruption of course is bigger, but they don’t have petty corruption, so they are dealing with the high-level corruption only, which involves much more money, but the number of cases is not so big, and if it happens, it – at least – looks that it is investigated, prosecuted and adjudicated as it should be. So, in other words, there is still a huge difference between rich and poor countries, but, as I said before on the case of Romania, Bulgaria and other European Union countries, the gap is closing. SS: Once technology becoming more and more part of our life, do you think that human factor in corruption can be minimized? KS:Not really, because technology can help the bad guys, and technology can help the good guys. As usually, as always happens, the bad guys are some steps forward, and they are using modern technologies as their tools in conducting corruption offences in a more advanced way. When the law enforcement services of countries, the police, the prosecution services – when they wantto apply new technologies, they have to have legal grounds for that, then they have to be authorized through the legislation, and then they have to be usually authorized by the judiciary, so this always takes time, and here the criminals are havingthe ,sometimes decisive, advantage, because they are using new technologies even to increase their wealth, even to increase their corruption activities. SS: But I am thinking - what if you digitize and technologies the services, what if all the services become technological – won’t that help? KS: Yeah, that would help. The specific service - yes. If you digitalize some services, one of the golden rules of prevention of corruption that can be applied, is the so-called “one-stop system” – that means, you don’t have to go to authorities to get different pieces of licenses, you just do it in one place and you don’t even have to see the person in place, who is deciding on it, and this is one of the cases how this can be used as a very effective preventive measure. SS: Thank you very much for this interesting insight, we were talking to Drago Kos, professional corruption fighter, and head of the OECD working group on bribery, it was great to have you with us. That’s it for this edition of Sophie&Co, and I will see you next time, so stay with us.